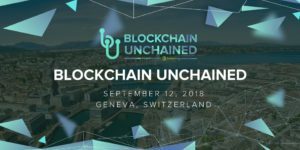 Blockchain Unchained is a conference that will be held in Geneva, Switzerland and it will be 3 days long. Its main aim is to enhance blockchain technology and to enable it to be easily accessed and understood by the general public. In addition, it is also meant to educate and raise awareness of how the sophisticated technology can be used in different sectors including banking and business. 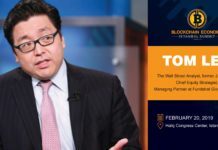 By going to the conference, you will get learn more of the technology and the impact it will have on the future projects that are mainly aimed at bridging ff-chain and on-chained worlds. Typically, attending any conference has numerous advantages than disadvantages. Likewise, going to the Geneva conference will be beneficial. 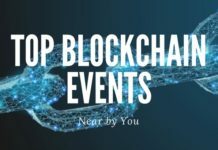 The main purpose of holding the conference is to create awareness in the traditional world of finance and banking by introducing the new blockchain technology. So, why should you attend the conference? You will get an opportunity to grow, learn, and nurture your talent as well as pitch your ICO ideas. And, of course, the conference is directed by a team of experts who will hold talks regarding the new technology and expose some of the future ideas that will work on improving the traditional banking and finance sectors. functionality, and uniqueness are breathtaking. You will get to enjoy its three multipurpose rooms, a caterer, varied theoretical programming, and flexible spaces. What’s more, there are numerous bonus packages for media personnel such as invitations to an exclusive 3-day boat trip, extra tickets to the event, a goody bag, and a logo on event handout. 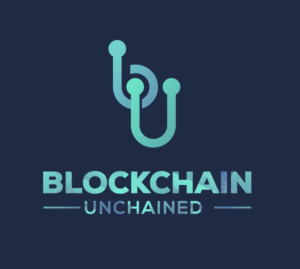 If you are working with the media, you will 10,000 CHF of media exposure on the new blockchain unchained platforms including social media, websites, newspapers, online news, press-release, and many more. Conversely, if you are a starter- with no relation to the media niche, you will get ICO pitching ideas, opportunity to work with blockchain partners such as Crypto Valley, Ambisafe, Swiss Banking Advisory, Swiss Borg, and many others. Also, you will get to learn new investment solutions and get inspiration necessary in creating a new era of wealth management that is entirely based on ethics, fairness, and trust. Apart from benefiting from the talks, you can also benefit financially by joining blockchain’s partnership program. You can do so by visiting their partnership section located on their main website. In the current digital age, embracing technology and everything related to the Internet of Things (IoT) does not only provide financial satisfaction but also welcomes you to the future. With blockchain technology, there is no doubt it will impact several sectors besides banking and finance. After all, it has shown great potential that is needed in the realization of the future technology.